The changing role of universities demands a greater truss and strong linkages with the local, national, regional and international communities. With the evolving role of the universities, the directorates of external linkages have become important offices to promote national and international collaborations. The directorate also coordinates with the international organizations for resource and environment conservation in their efforts to make the world a better place for the next generation. This was the crux of The Educationist discussion with PU Director External Linkages Prof. Dr. Kanwal Ameen. 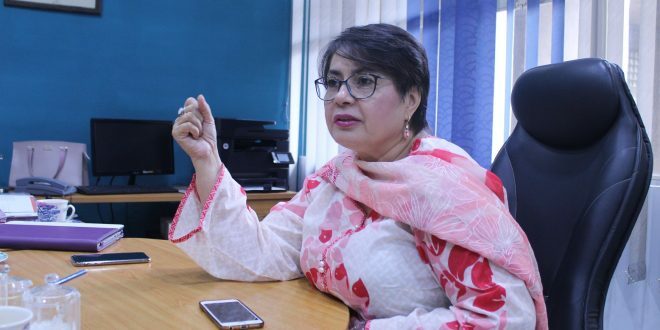 When asked about the aim and objective of directorate, Kanwal Ameen said, “This office basically aims to develop university’s academic and research linkages with the advance world, Middle East and with all over the world so the cooperation among teachers and students is enhanced in research teaching. The office works in this regard, we get to say MoU’s of different universities international organizations, national organization, different institutions to work jointly in whatever field the MoU’s are. Regarding both these aspects, external linkages wants to enhance the world and increase this participation by foreign external linkage therefore it will help in improvising Pakistan’s and Punjab University’s stereotypical image throughout the world. A statistics of MoU since 1998-2018 out of 140+ MoUs, a number of 30 MoUs have been signed between PU and institutions of China. Furthermore, 23 MoUs with Turkey, 9 with the UK, 8 with Malaysia and Japan each, 6 with Germany, 5 with USA and with some other academic institutions in Asia/Europe. I planned to dig them out and see how many have been activated and further work on those collaboration and making them more active and attractive for international students that is our aim for university ranking it is very important to have international students on campus and faculty so that they can come and teach different courses on different departments We have developed TOS ( Terms Of Services) university will pay the charges for their traveling. As we are at the early stage of this activity, we our trying our level best to communicate with all faculty/departments and sooner we shall be able to get quality results. The Directorate also assists with visas for students for scholarship exchange programs during their studies as well as for those faculty members travelling abroad to pursue a PhD degree or for a seminar/lecture/conference or presenting a research paper. The Directorate of External Linkages has highlighted a student related severe issue i.e students going on scholarships for one semester or on exchange programs and upon their return they face credit hour adjustment/equivalence problems for several years. The Vice Chancellor directed the Chairman, Semester implementation committee to make such a policy to resolve this issue for the broader interest of the students and the university. Operating as the base and coordinating office for the University’s various global proposals, programs and responsibilities. Maintaining records containing information on all international activities of the University, including mission, staff, budget, initiatives and projects. Establishing and maintaining information resources, including a website that will inform faculty and students of international programs and prospects. Developing opportunities for the PU’s student to engage in international programs, embark on internships abroad, and complete foreign programs to study. Supporting faculty and staff in obtaining grants and scholarships for international pursuits. Providing support services for the University’s international students, faculty, and staff and those that might need in when abroad. THE EDUCATIONIST: You served as an Chairperson of Information Management, what is the significance of this subject? 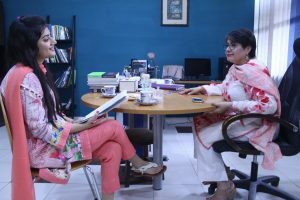 Dr. Kanwal Ameen: Our subject base is knowledge and information regardless of the sources in which they are produced, be it in print or electronic form so that our area is to know all the scholarly world, how to learn and organize it. This is the core services of any society as how to make it easily accessible to the community. Today’s knowledge economy has become even more productive and valuable related to research activities so, our expertise are very much beneficial for the communities. I and my faculty give workshops on research methodologies, scholarly publishing, citing and journals. We have redesigned and restructured libraries according to the changes due to this digital paradigm in the society. Youth is not very much attracted towards traditional kind of libraries unless they have no other choice. Since Google is there as a compactor and this generation is a Google generation. There is nothing bad about using it but the only concern is that we should not rely on Google only, libraries have big re-devise scholarly, tested and research knowledge. Concept of libraries have been changed we are evolving ourselves from just merely librarian to information professionals. Organization is the key of our subject so when something is organized, it can be retrieve well, if it is not curated you cannot re-use it. Our discipline is multi-discipline which three in number are. Disciplines emerge with the society that is communication studies, media education and our own discipline, their core changes the society.